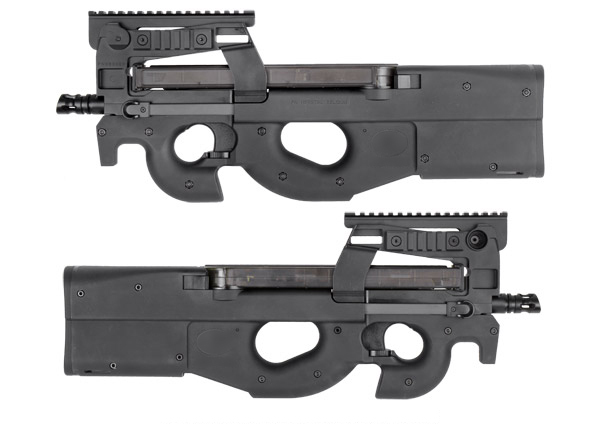 The K90 Tactical is a Personal Defense Weapon which was created for close combat situations. 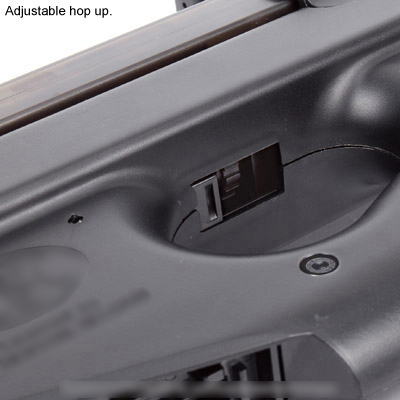 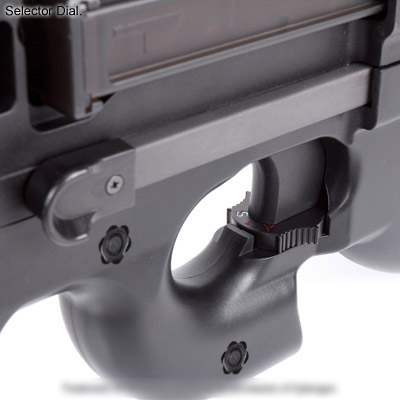 The cocking handle, magazine catch and fire selector were designed to be ambidextrous operated. 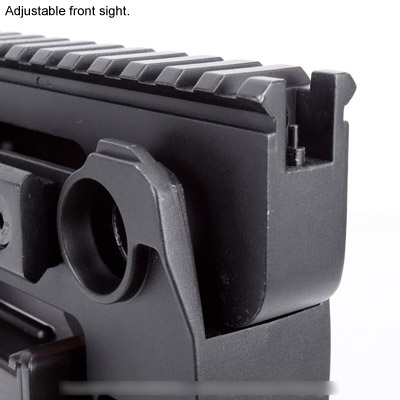 It equipped with two side mil-spec rails and top rail for mounting red dot sight or other aiming system. 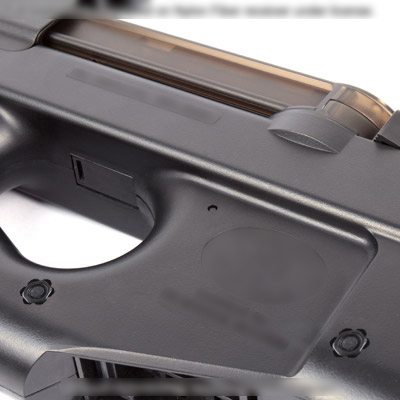 There is a build-in adjustable iron sight on the top rail and two fixed backup iron sights on both sides of the optical sight base. 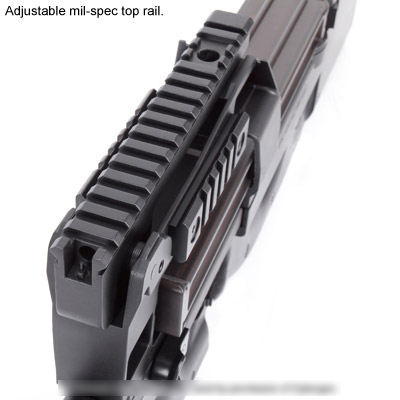 A 9mm bearing gearbox is used for this rifle. 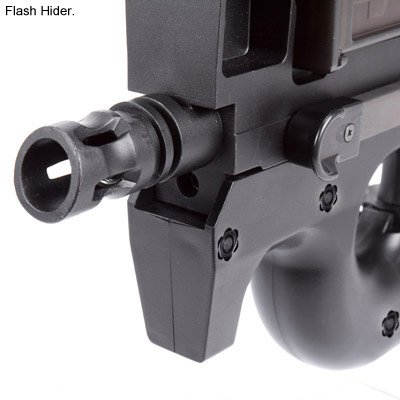 The quick spring change designed gearbox helps to replace the spring and adjust the shooting power easily. 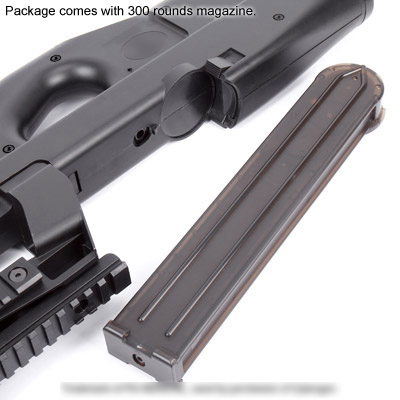 Package comes with 300 rounds magazine.